Romanian online grinder Adrian ‘BadWolfOne’ Nica went from a $2 tournament entrant to a PokerStars Platinum Pass winner. The 27-year-old professional online grinder entered as one in a field of 38,253 to having $30,000 in equity toward the 2019 Players No Limit Hold’em Championship as part of the PokerStars Caribbean Adventure. PokerStars announced a Platinum Pass would be added as a prize for the winner of the Winter Series Micro Main Event. The Platinum Pass belongs to Nica along with the $8,171 he earned from his remote homeland. Nica plays lower stakes tournaments as his primary means of income and familiarity with late-stage spots allowed him to focus on the task at hand instead of solely on the Platinum Pass. The final four players made a deal in the tournament and played for a $2,000 save along with the Platinum Pass. Nica says he ran well to get into the high-equity spot and used aggression to exploit opponents who he thought were playing tighter than they should be. The full tournament lasted for 14 hours and the studious Nica watched the replay of his win afterward to pick up on any mistakes he made. Poker is the only job Nica claims to have had in his life and says it’s easy for him to make enough money in tournaments ranging from $5-$20 buy-ins to have a stable income. The Players Championship is the first time since 2014 Nica has traveled outside his homeland to play a tournament. 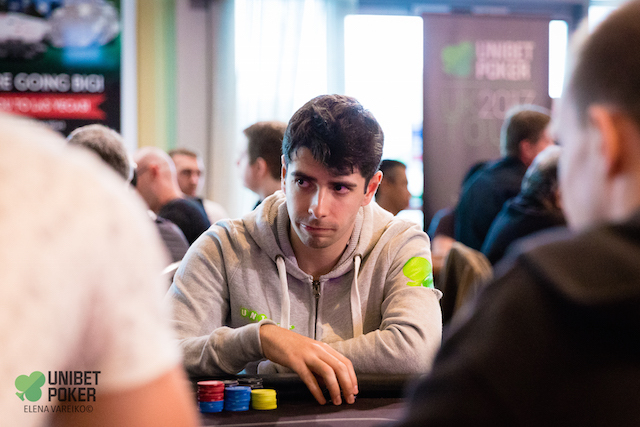 A World Poker Tour event in Venice drew Nica after he qualified via satellite. The game is a job for Nica and also a means to an end. He doesn’t foresee himself changing any part of his life should he win the Players Championship. For him, it’s just another tournament. The Bahamas has never been a primary destination for Nica and when it comes to the subject of the World Series of Poker Main Event, Nica is indifferent about the chance to play in the world’s biggest tournament. Nica studies poker during the day using hand reviews and ICMizer. He plays at night with the same mental fortitude that enabled him to stay sharp during the grind of the Micro Millions Main Event. The game came to Nica while in school. He found a forum that allowed him to bet on sports at a reasonable rate. Poker made its way through the pipeline and Nica picked up the game soon after. “I think I first got into poker through betting 25 cents on games I wanted to watch. I got an email about a freeroll then found the forum and chatted with people and learned more,” Nica said. Nica rarely leaves home to play in live tournaments and the Players Championship represents a huge challenge for him of matching skills with the world’s best. The studying time Nica puts in is on par with some of the game’s best. So what stands between the best and a player like Nica? It’s two parts, according to him. As Nica hits the proverbial books to up his game in the next year, the enjoyment of the challenge comes back to him.